Architects are increasingly discovering the real benefits of shower pods as a valid alternative to traditional tile and tray showers. At Advanced Showers we manufacture a range of these leakproof units which have been a favourite of university and commercial designers and facilities managers for many years. They are now being discovered by residential and domestic developers. Because our shower pods come with a lifetime leakproof guarantee, it means less troublesome facilities management post-build and therefore happier clients. Shower pods also help to de-risk a project and assist with timely completion. How can our Shower Pods be guaranteed Leakproof? It’s because they are made from GRP and come in two or three pre-formed sections that interlock with a factory fitted gasket. The result is a leakproof joint. The floor tray is an integral part of the unit and cannot leak either. With no tiles to come loose and no way for water to permeate the surrounding structure, it really is leakproof. 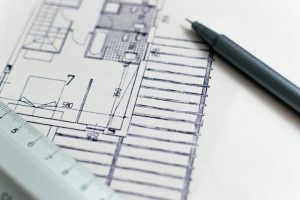 How can they help to de-risk a build? You know that simplifying any task reduces the chances of it going wrong and causing delays. Because shower pods can be installed by just a single tradesperson in under one day, there are fewer individuals involved, no materials to be delivered late or run out, and none of the complications of tile and tray constructs. What other benefits do Shower Pods offer? As a bathroom component, they are attractive, hard wearing and long lasting. It pays to add shower pods from Advanced Showers to your design options to offer greater flexibility and options to clients. 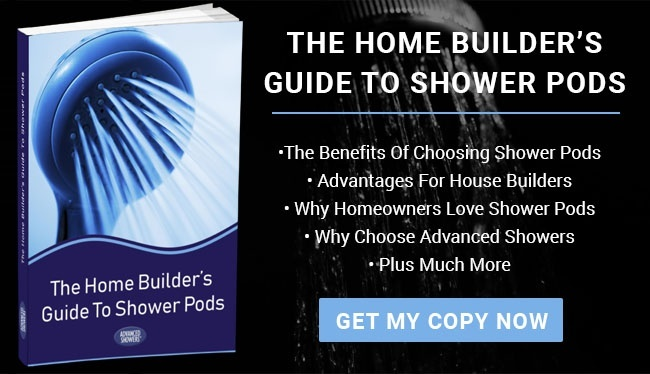 Find out more by downloading our free eBook The Shower Pods Guide, which explains the benefits in greater detail and covers installation requirements etc.